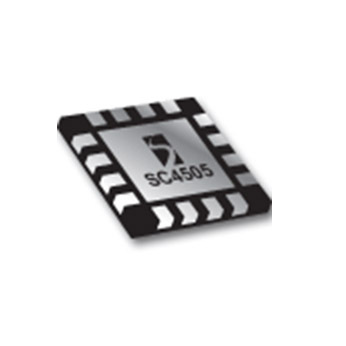 The SC4505 is a high-frequency PWM current-mode stepup switching regulator with an integrated 2A power transistor. Its high switching frequency (1MHz) allows the use of tiny surface-mount external passive components. The internal switch is rated at 36V which makes the converter ideal for multiple LED series operation with optimal current matching. Two programmable independent current source structure allows dual panel LED backlight and flash operation.